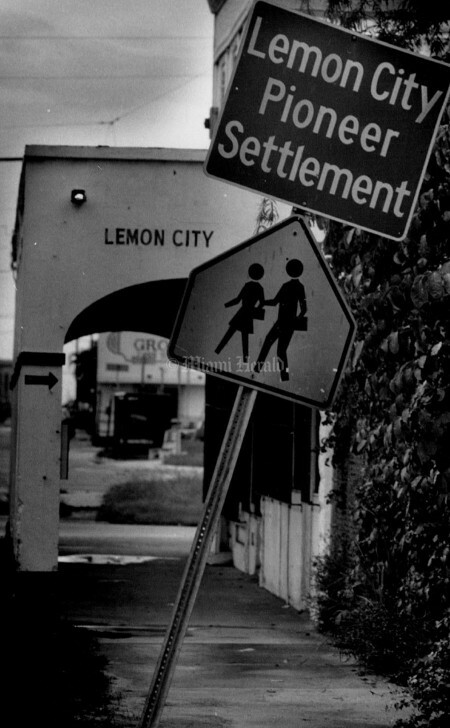 Lemon City is an ancient neighborhood by Miami standards. 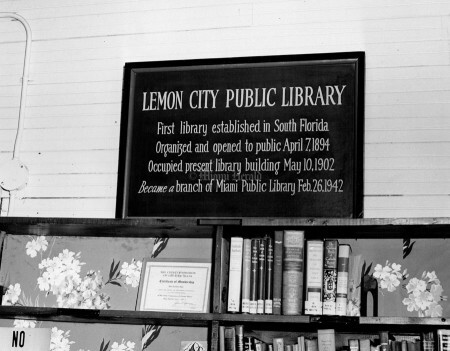 Named after the unusually sweet lemon trees that grew in the area, Lemon City was the home to one of the county’s oldest schools, the Lemon City School, and first library, the Lemon City Library. 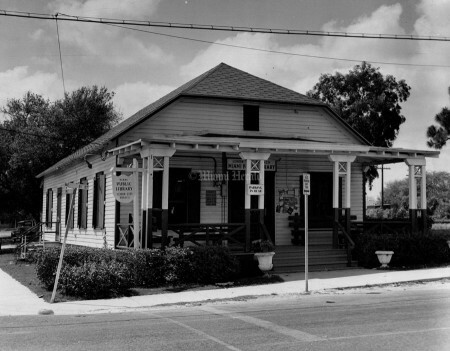 One of its early markets, Rockmoor Grocery, would go on to become the first Winn-Dixie store. 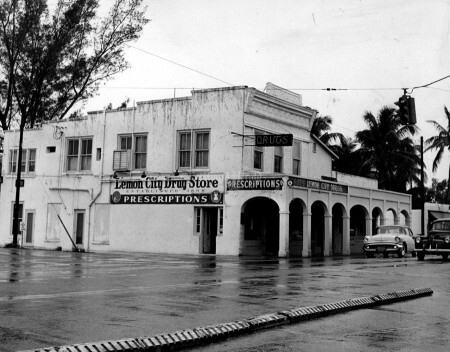 A year before Miami’s incorporation, the 1895 population of Lemon City was 300. 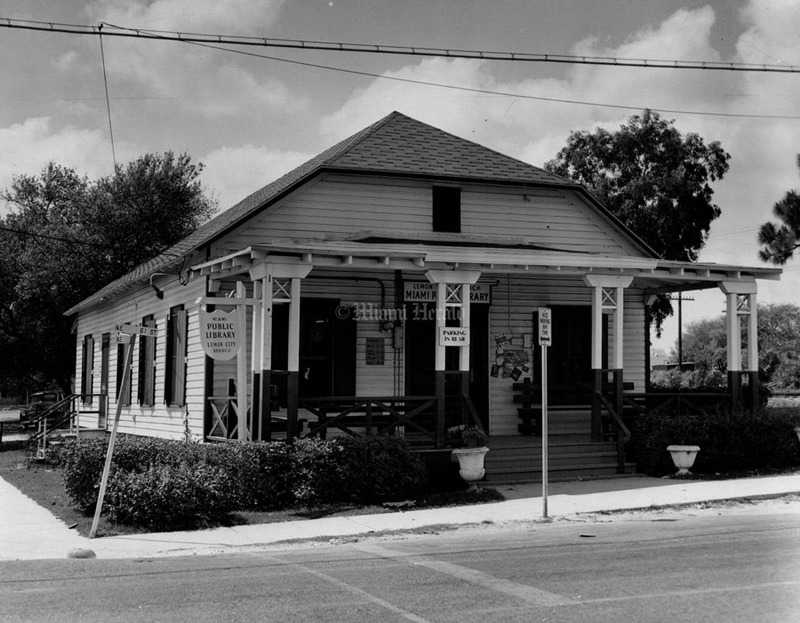 The area consisted of a second hotel, three general stores, a barbershop, a real estate office, bakery, sponge warehouse, two or more saloons, a restaurant, blacksmith, livery stable, separate post office, sawmill and photo studio. 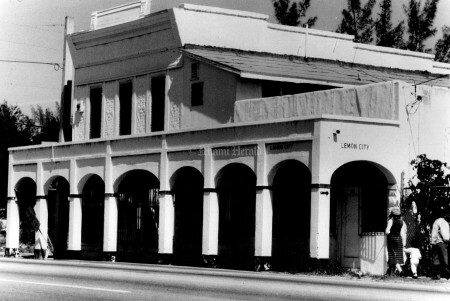 Being the bayside’s 15-building metropolis in 1895 the area attracted famous visitors -like Henry Flagler- and became the commercial trading center of Biscayne Bay. 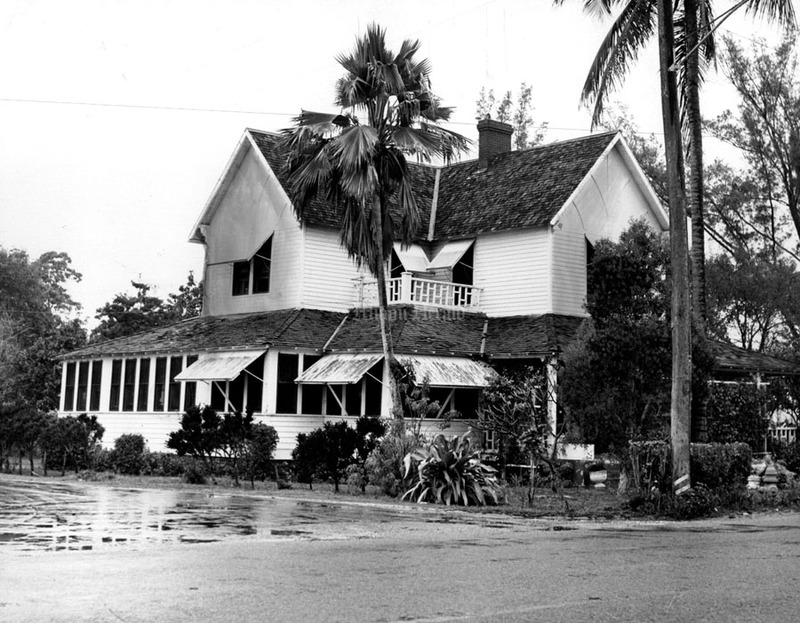 There were 13 ships moored there in 1891, including the Emily B, a 3-ton, three-masted schooner that brought Julia Tuttle and her family — including their cow Daisy — to Miami that same year. The exact boundaries of Lemon City are unclear because the area was never incorporated, its core is the same as today’s Little Haiti. 4/27/1967, John Pineda/Miami Herald Staff: Jose Willliams family built own rock garden in not such a great neighborhood. 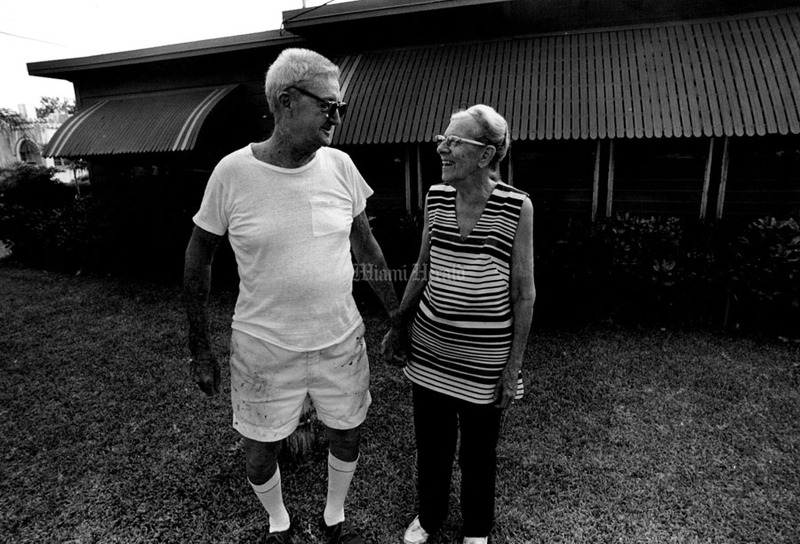 1/23/1958, Doug Kennedy/Miami Herald Staff: Lemon City. 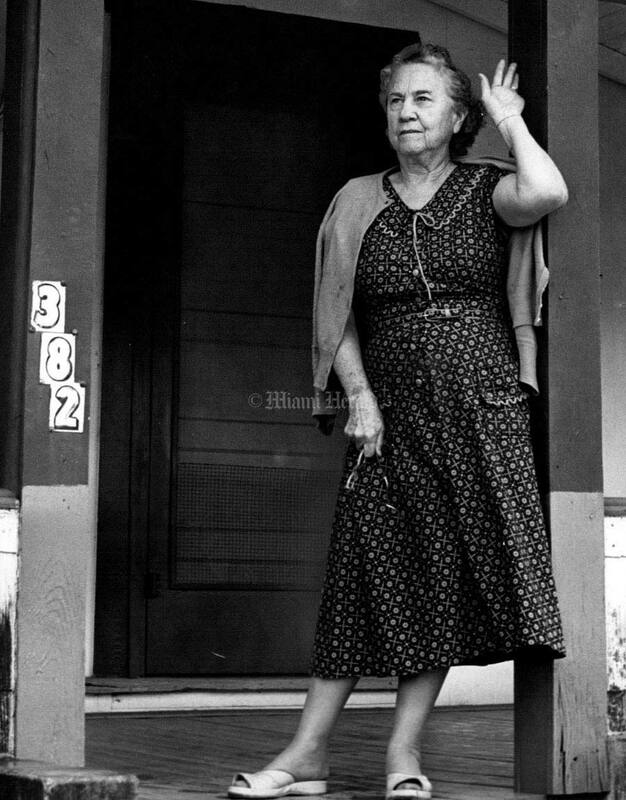 Mrs. Oscar E. Mathers at home (old post office). 1/2/1958, Doug Kennedy/Miami herald Staff: Lemon City. 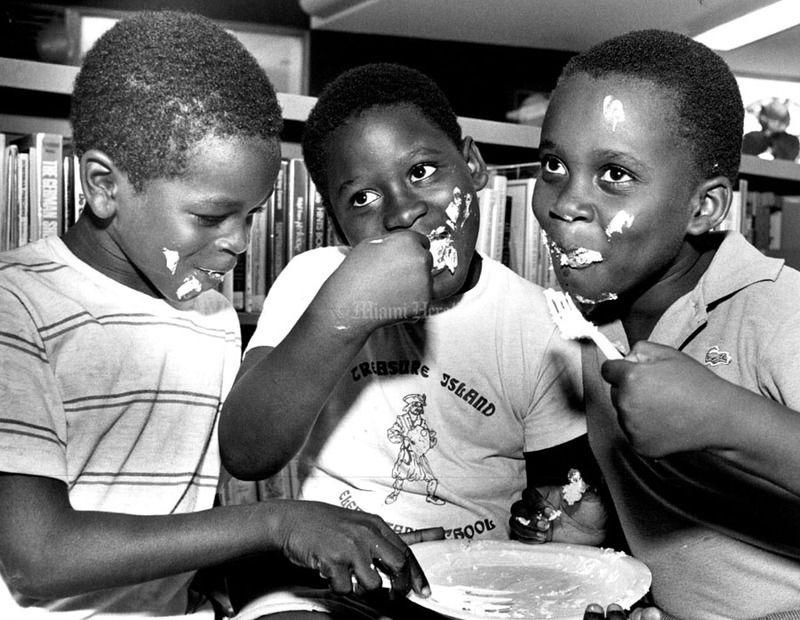 Original William Ira Peters Home (1896) - 6042 NE 2nd Ave.
6/14/1986, Albert Coya/Miami Herald Staff: Daniel Gibson,7, Rosley Desir, 8 and Phillip Estime, 6, eat from the Lemon City Library birthday cake, during the celebration festivities of 94 years of its foundation. 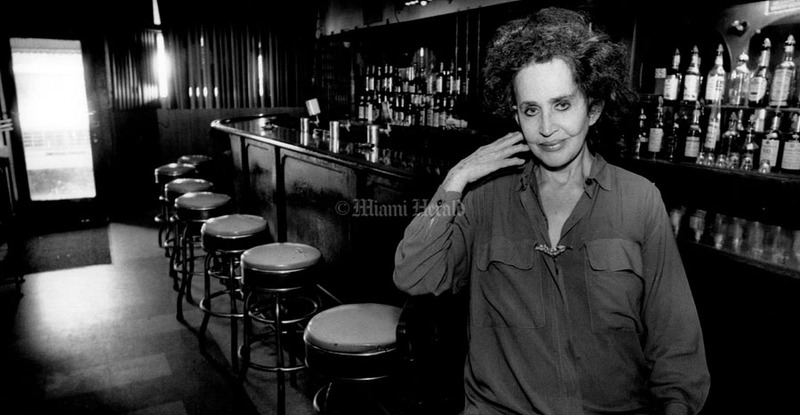 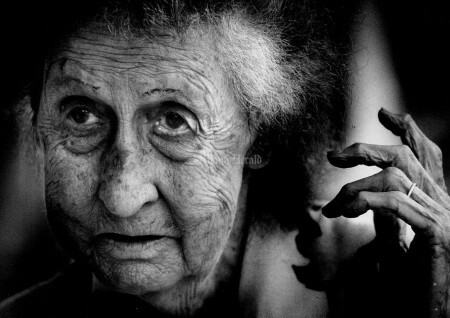 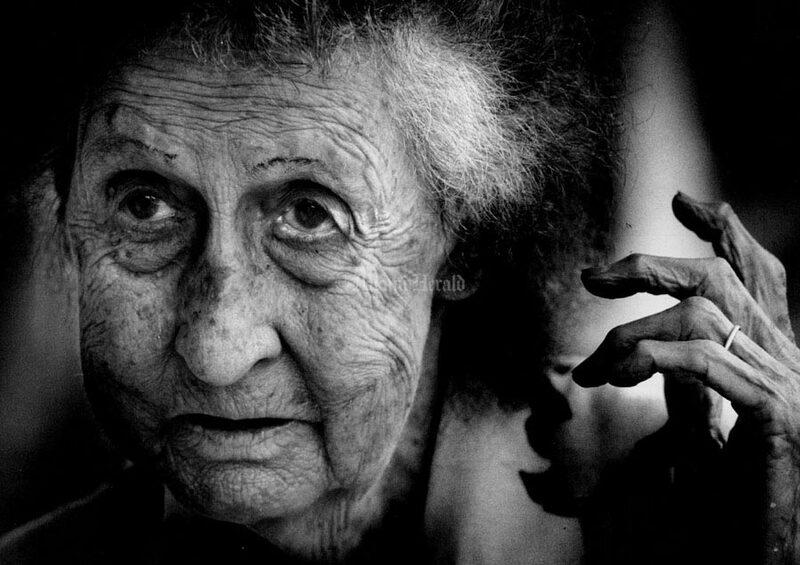 7/31/1991, Rick McCawley/Miami Herald Staff: Annette Rychel, owner of the Lemon City Oasis bar, which is soon to close, remembers times past when the bar was thriving. 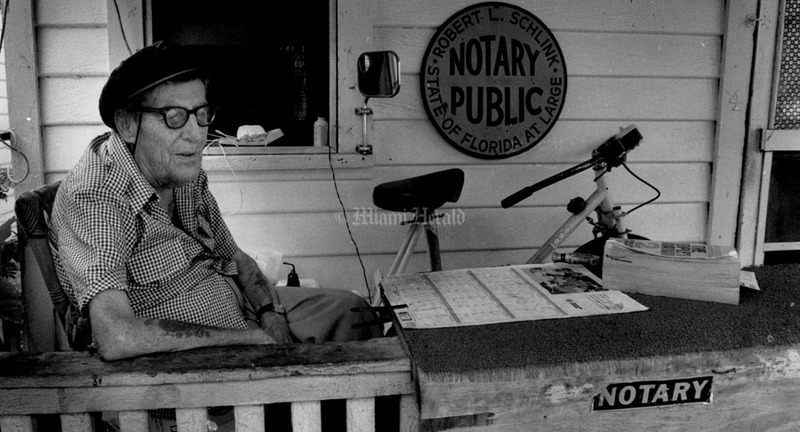 7/31/1991, Rick McCawley/Miami Herald Staff: Robert L. Schlink, runs his notary business from his front porch. He is a long time resident of the area. 7/31/1991, Rick McCawley/Miami Herald Staff: What is left of the Lemon City historic buildings. 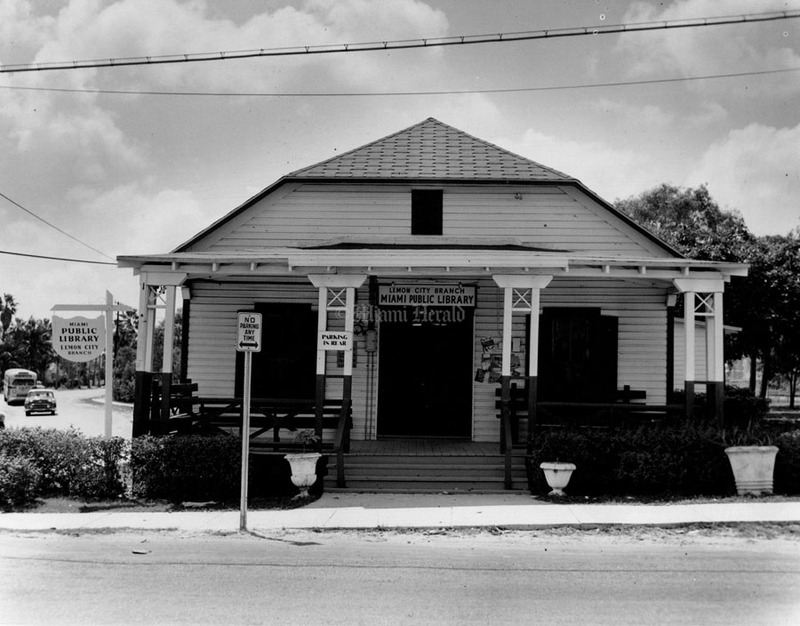 The old post office, Magic City Trailer Park, and the Oasis Bar. 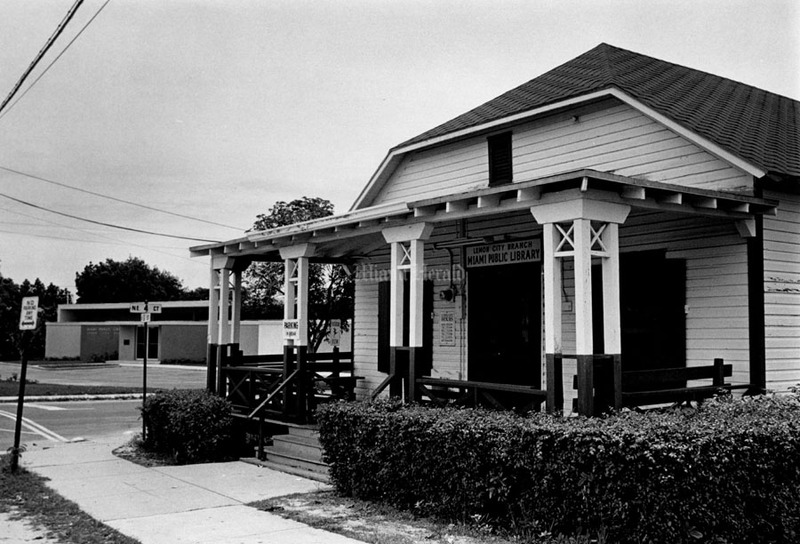 New on the block is the Carribean Marketplace and of course downtown. 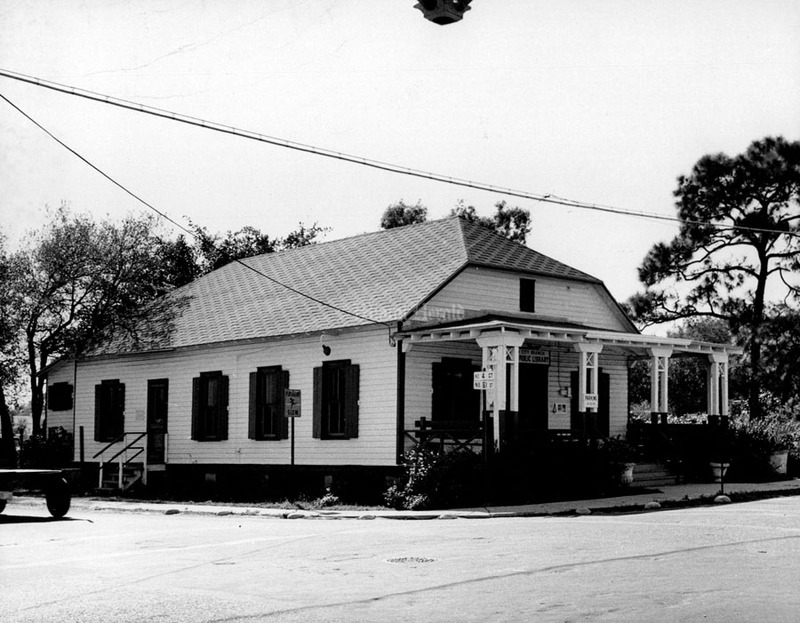 Also, a drug store and offices owned by Dr. John Gordon DuPuis. 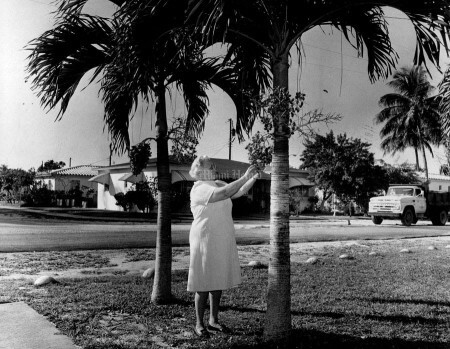 7/31/1991, Rick McCawley/Miami Herald Staff: Doris Musloe remembers when fruit trees and foliage covered most of what is now Northeast Miami. 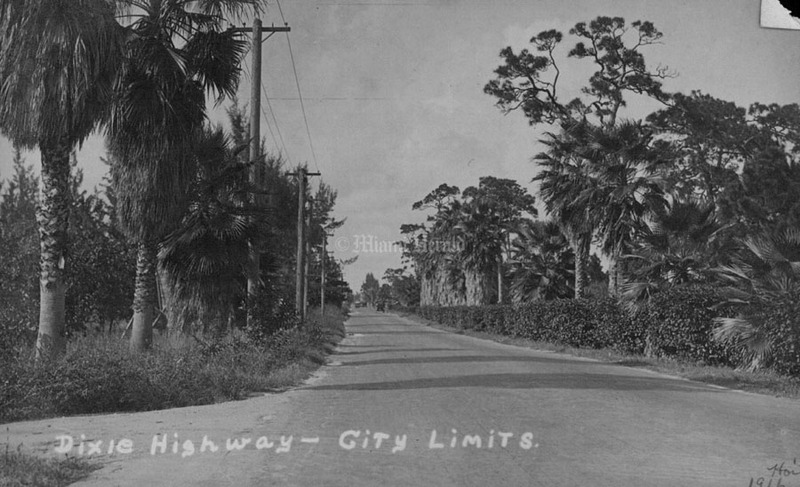 When there were no sidewalks, only gravel roads. When Seminole Indians walked into town to trade with merchants. Musloe remembers Miami before it was Miami, when its largest community was Lemon City. This sign is about all that is left noting the area as Lemon City. 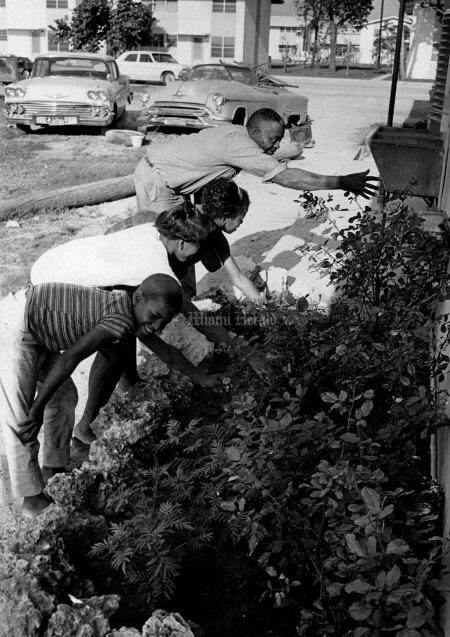 1/19/1973, Roy Bartley/Miami Herald Staff: Mrs Leonore McLean in her front yard with neighborhood in background. 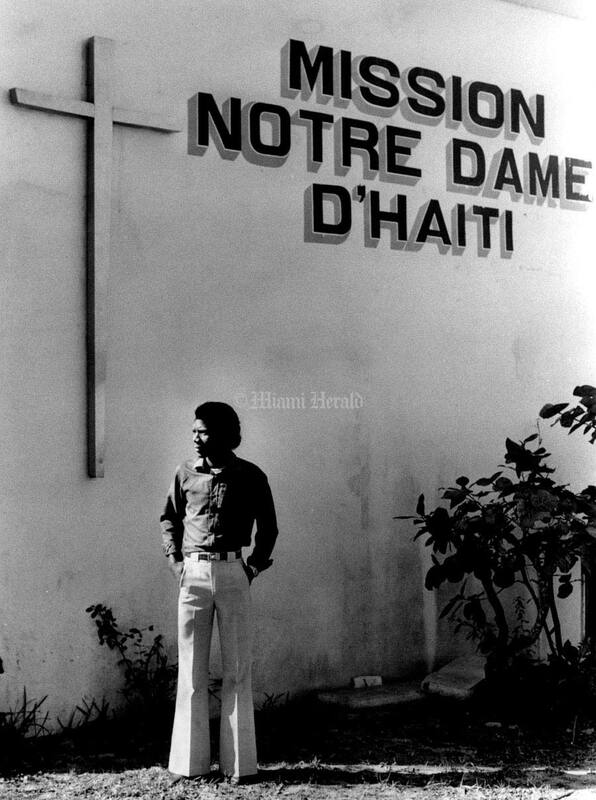 2/15/1985, Robin Shields/Miami Herald Staff: Robert Mones waits for a friend outside the Catholic Center for Haitians. 1/1/1973, Joe Elbert/Miami Herald Staff: Lemon City. 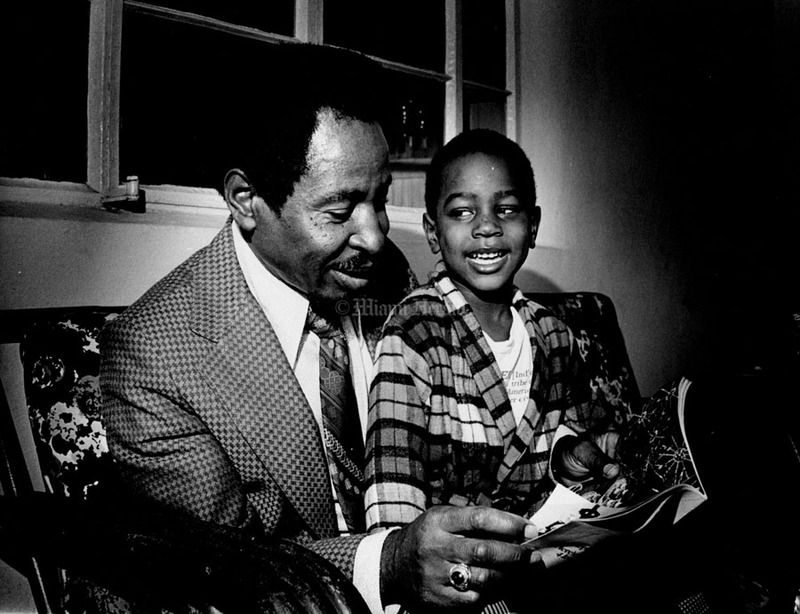 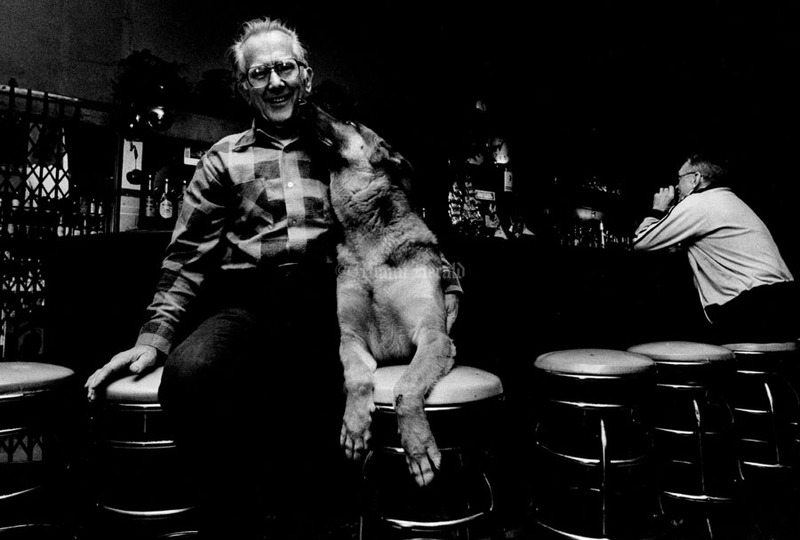 Reuben Cooper with son Theodore Alvin (3) in home 538 NW 41 St.
2/13/1985, Robin Shields/Miami Herald Staff: Ben Rychel with his dog baron, in the Oasis bar. A very dark cool spot in the middle of Lemon City (or little Hati). 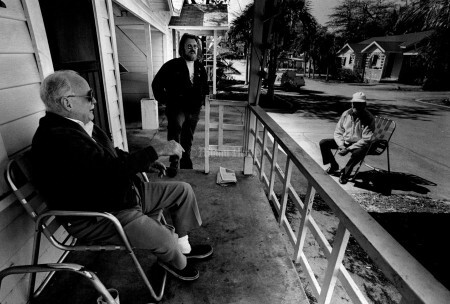 2/13/1985, Robin Shields/Miami Herald Staff: Sitting in Magic City Trailer park is (far left) John L. Junkin (he lived there 2 years but is a Miami native.) Pete Williamson, the owner of the Trailer park and Doug weaver, who has lived there for 13 years. 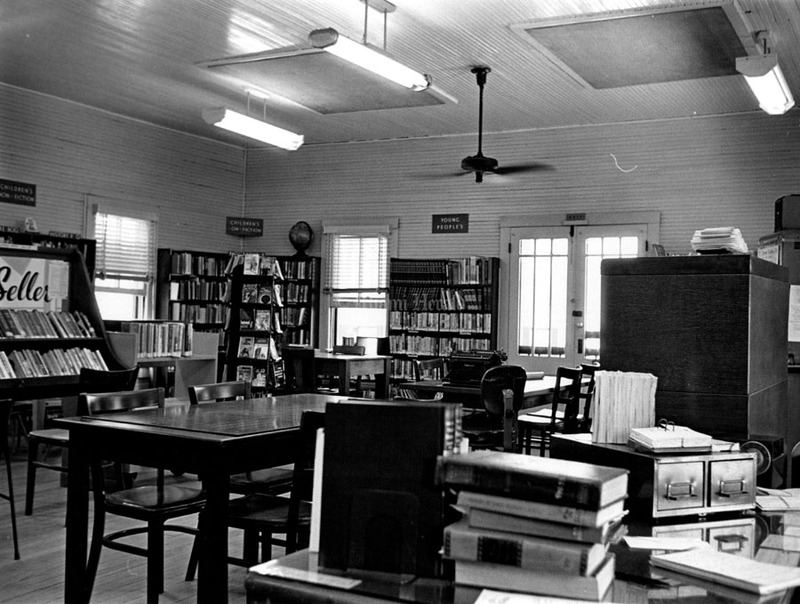 This is in the front cabin section. On Lemon City line north on Difie Hywary from Miami, Fla.
6/13/1963, Bob East/Miami Herald Staff: Lemon City Librarian, Miss Geraldine Baumbartner. 8/25/1981, Alan Freund/Miami Herald Staff: Bob Brady at Lemon City Library. 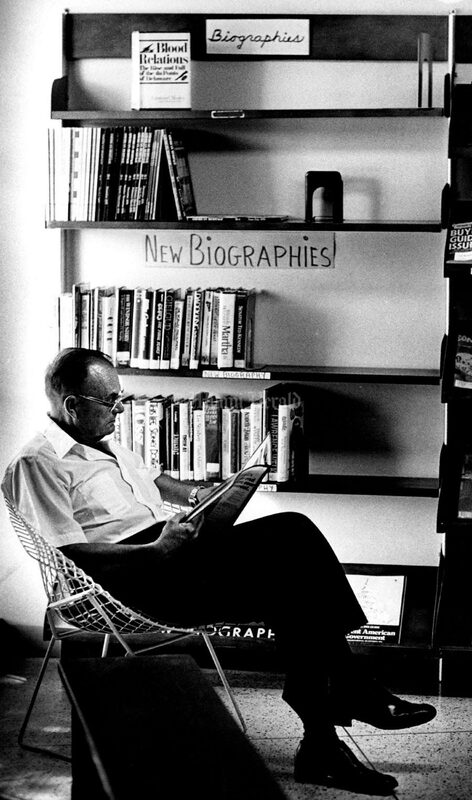 He stops by between calls as a life Insurance Salesman. 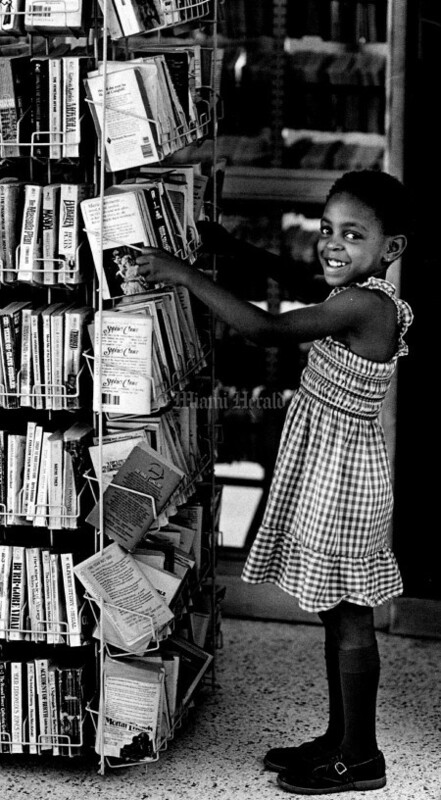 8/25/1981, Alan Freund/Miami Herald Staff: Kalifia Jabali, 5, at Lemon City Library. 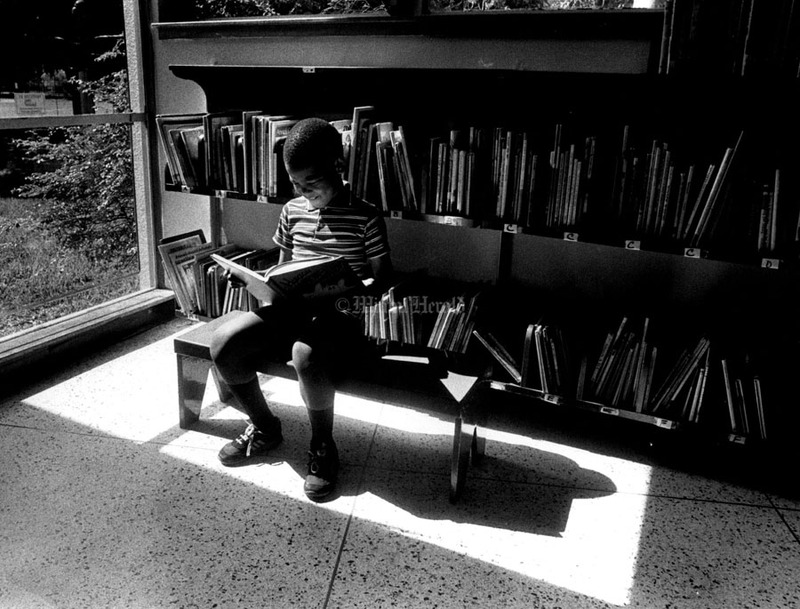 6/12/1986, Robin Cohen/Miami Herald Staff: Ludgmy Louis, 7, in a sunny corner at Lemon City Library. 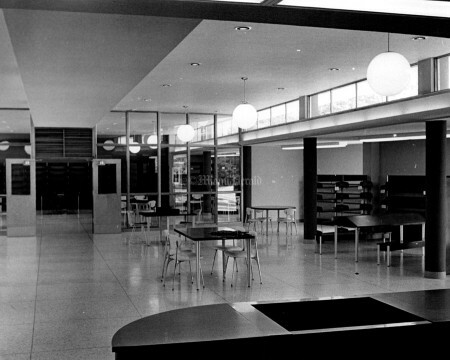 6/13/1963, Bob East/Miami Herald Staff: The renovated Lemon City Library. 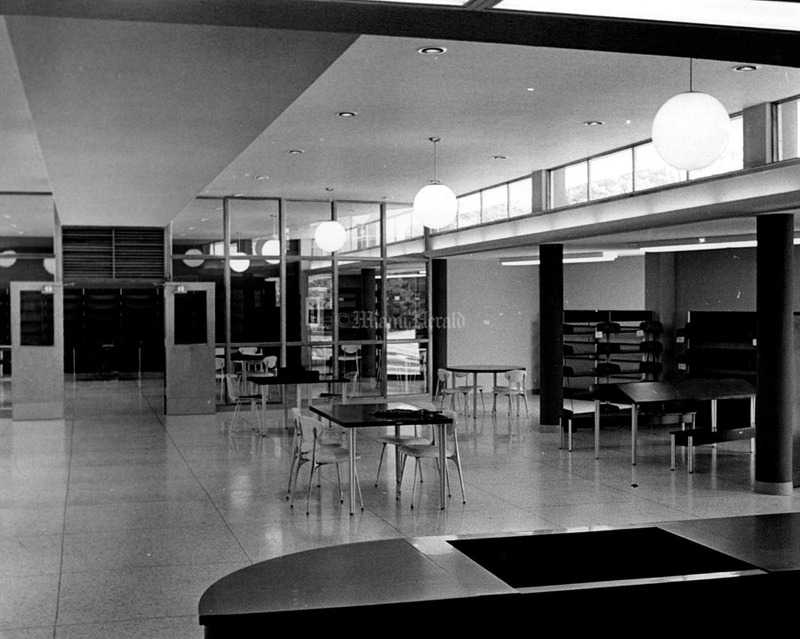 6/13/1963, Bob East/Miami Herald Staff: Lemon City Library. 6/13/1963, Bob East/Miami Herald Staff: Donald Napier, 6, of 344 NE 60 ST waits for Lemon City Library to open. 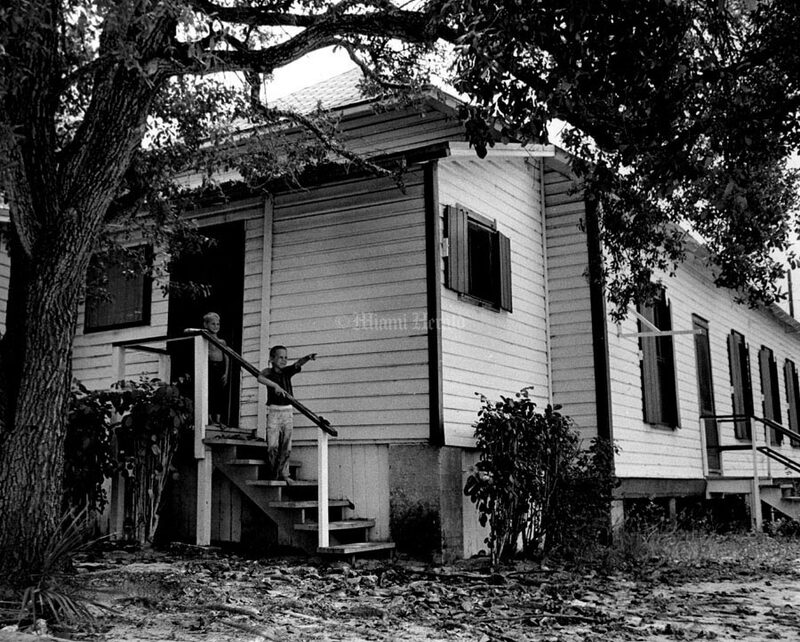 6/13/1963, Bob East/Miami Herald Staff: Donald Napier,6, and Earlwright,7, 7620 NE 3 Crt St 344 NE 60 ST at back door of old Lemon City Library. 3/19/1955, Bill Kuenzel/Miami Herald Staff: Miss. 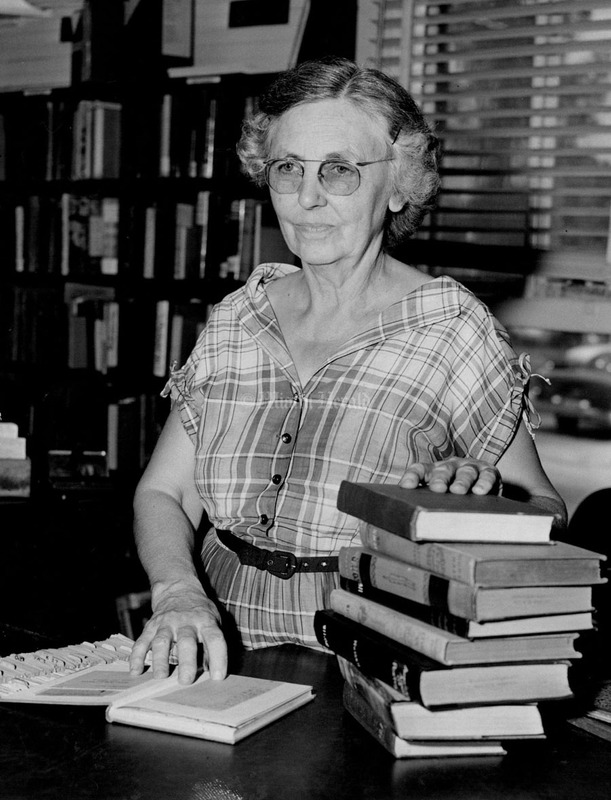 Harriet McCay, Librarian at Lemon City Library. 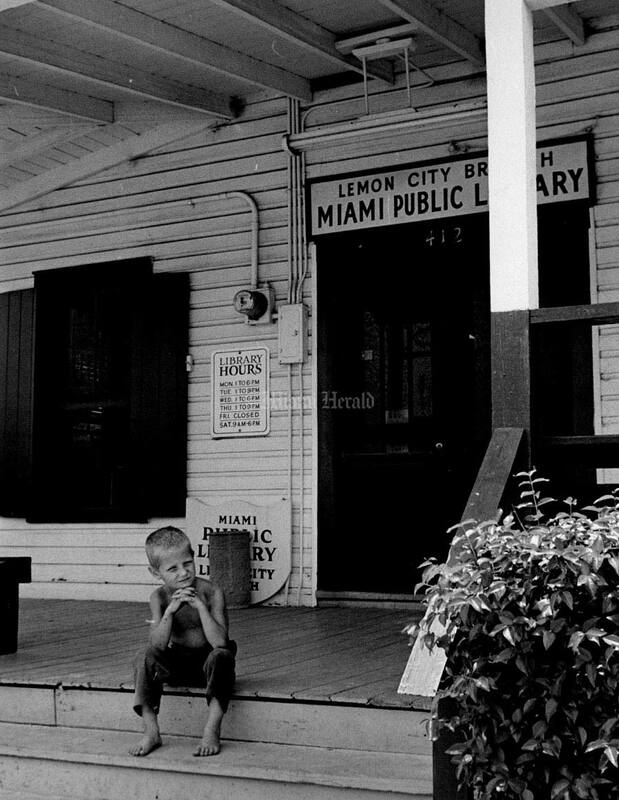 Undated, Doug Kennedy/Miami Herald Staff: Lemon City. 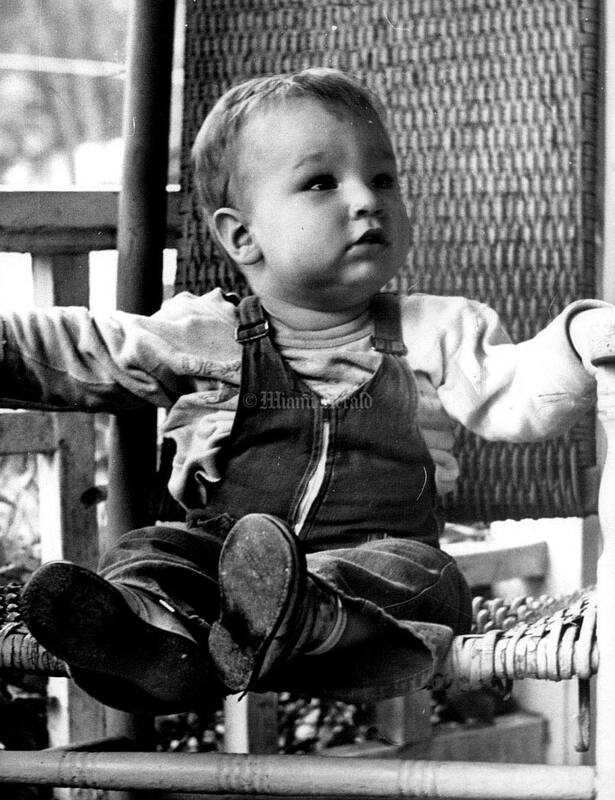 William Ira Peters IV, 15 months old. 3/19/1955, Bill Kuenzel/Miami Herald Staff: Lemon City Library. 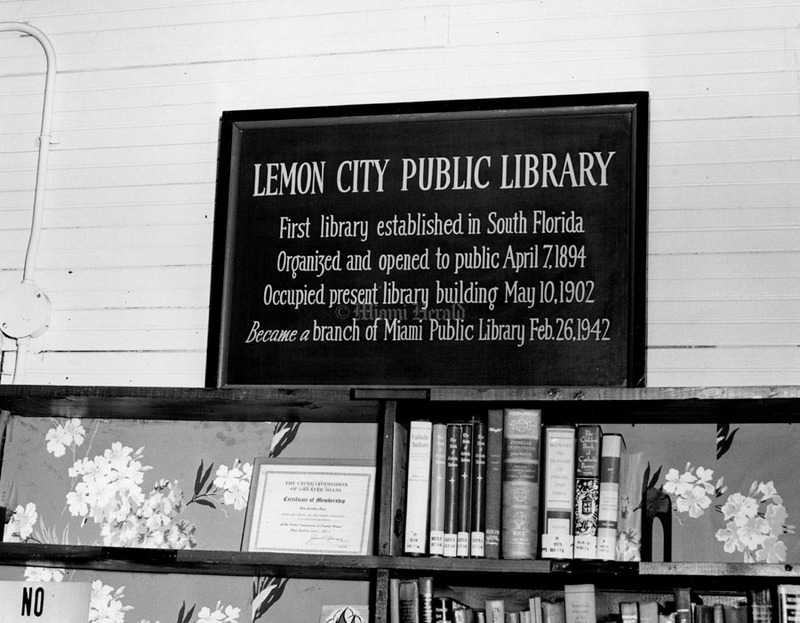 Sign says: Lemon City Public Library. 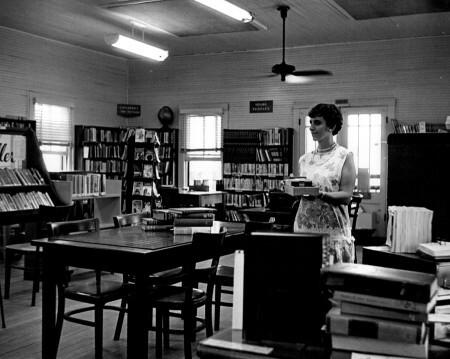 First library established in South Florida. Organized and opened to public April 7, 1894. Occupied present library building May 10, 1902. 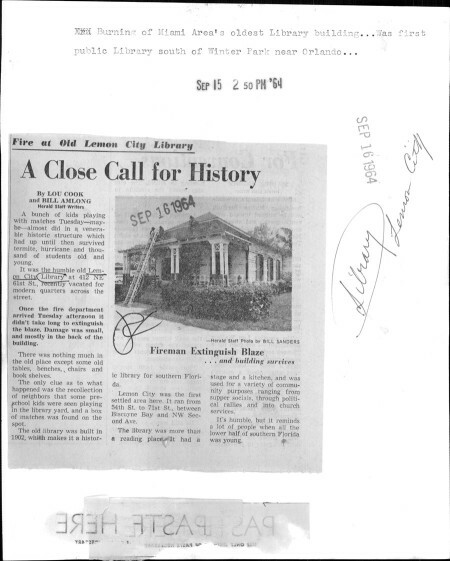 Became a branch of Miami Public Library Feb. 26, 1942. 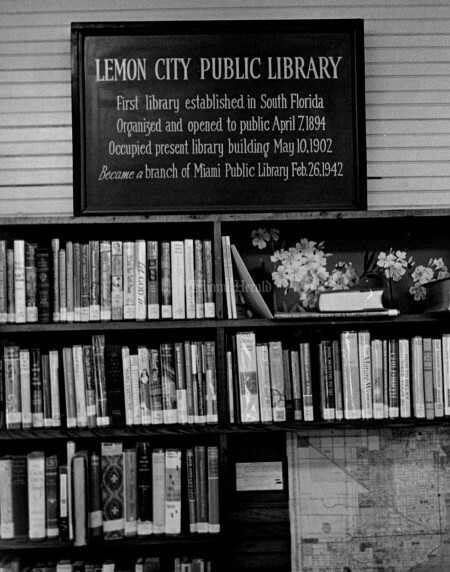 1/9/1958, Miami Herald Staff: Lemon City Library. 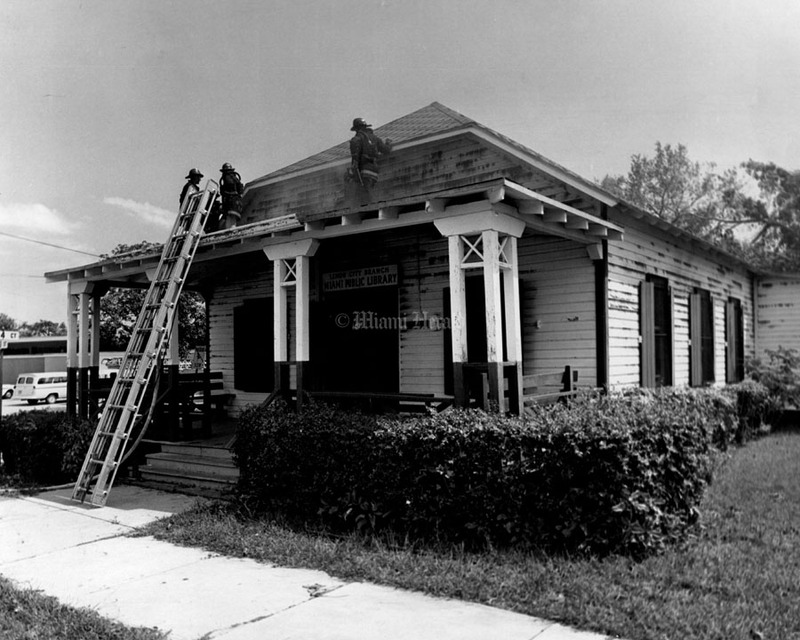 8/19/1984, Robin Shields/Miami Herald Staff: Norton and Gladys Smith of 5700 NE 1st Ct.
9/15/1964, Bill Sanders/Miami Herald Staff: Fireman Extinguish Blaze and building survives. A bunch of kids playing with matches almost did in a venerable historic strcture which had up until then survived termites, hurricanes and thousands of students old and young. Burning of Miami Area's oldest Library Building. Was first public Library South of Winter Park near Orlando. 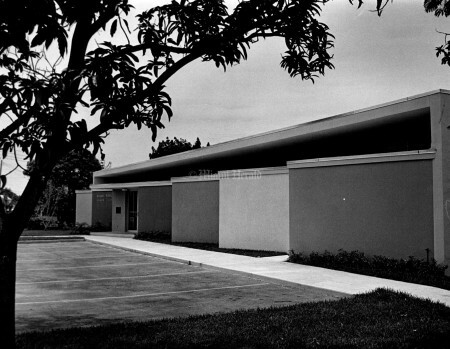 3/19/1955, Bill Kuenzel/Miami Herald Staff: Lemon City Library. 1/15/1958, Bill Kuenzel/Miami Herald Staff: Lemon City Library.